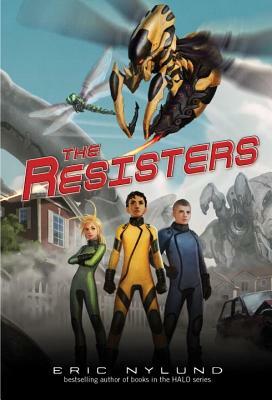 Million-copy bestselling Halo author and game developer Eric Nylund brings action-packed science fiction to a young audience with this riveting children's debut. Twelve-year-old Ethan Blackwood has always known exactly what he wanted—to win the state soccer championship, get into the best high school, and become an astronaut. Then he meets Madison and Felix, who tell him something . . . insane. They claim that 50 years ago, aliens took over the earth, and everyone past puberty is under their mind control. Ethan doesn't believe it. But then he sees for himself the aliens' monster bug robots and the incredible way that Madison and Felix have learned to fight them. So Ethan Blackwood has a choice: he can go back to his normal, suburban, protected lie of a life—or he can become a Resister. This science fiction on the lines of Scott Westerfield and Cory Doctorow for middle graders is now available in paperback. Eric Nylund is a New York Times bestselling and World Fantasy Award nominated author. He has written science fiction and fantasy novels, comic books, and has helped make many blockbuster video games. Eric has a Bachelor’s and Master’s degree in chemistry. He graduated from the prestigious Clarion West Writer’s Workshop in 1994. He lives in the Pacific Northwest with his family. You can learn more about Eric at www.ericnylund.net.